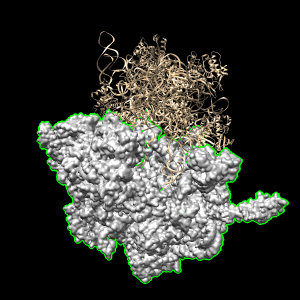 ChimeraX is our next generation molecular visualization software following Midas, MidasPlus and Chimera. Increase in computer performance, CPU 50x, graphics 100x, disk space 200x, network 50x. 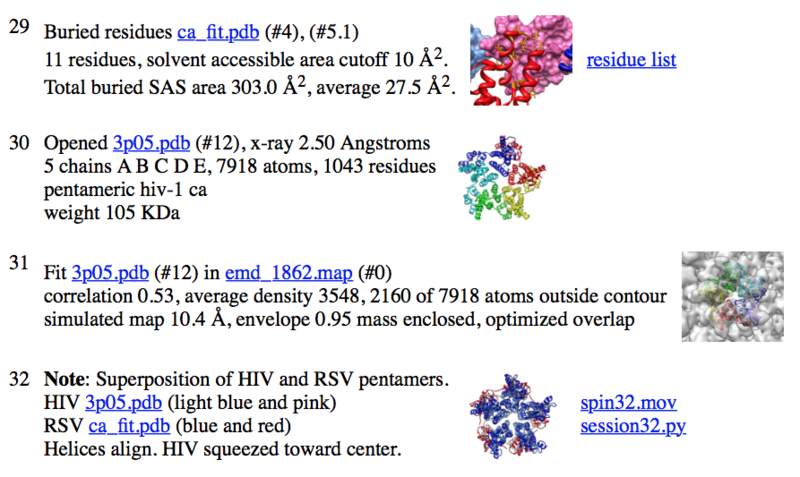 Increase in data size and coverage: molecular structures, sequences, and density maps. Advanced graphics using GPU programming. High performance handling large models or hundreds of models. New user interface toolkit, rich html log output. 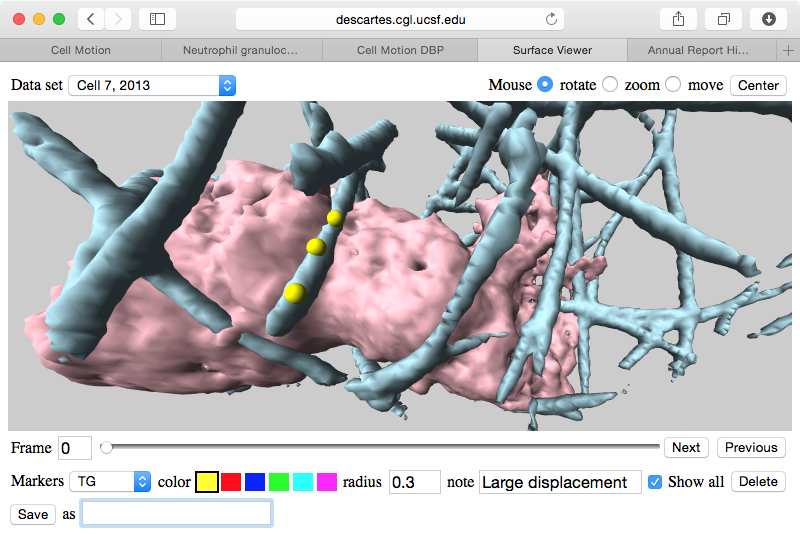 Web browser apps using WebGL. Community plugin development, distribution system, stable programming interfaces and docs. Modern 3D graphics uses low level GPU programming that enables new rendering effects and maximum performance. 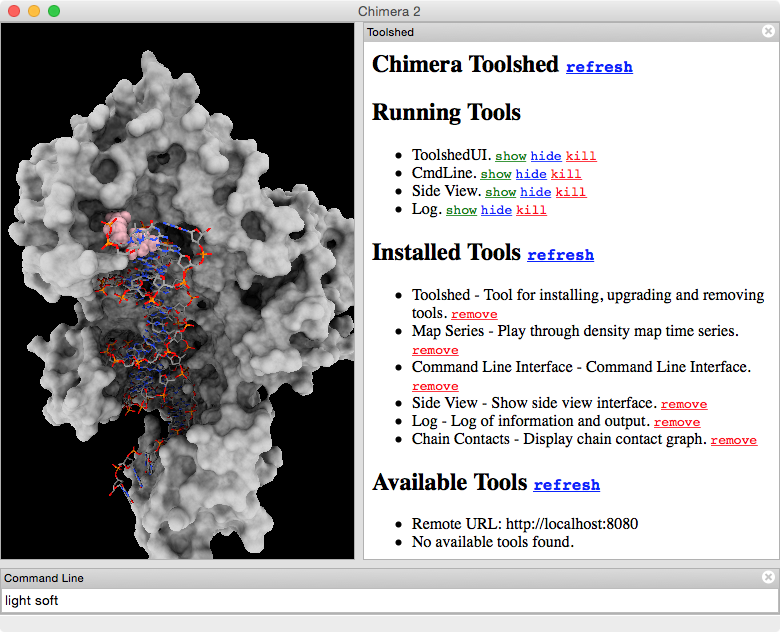 Chimera 1 was based on older OpenGL using a limited library of functions. 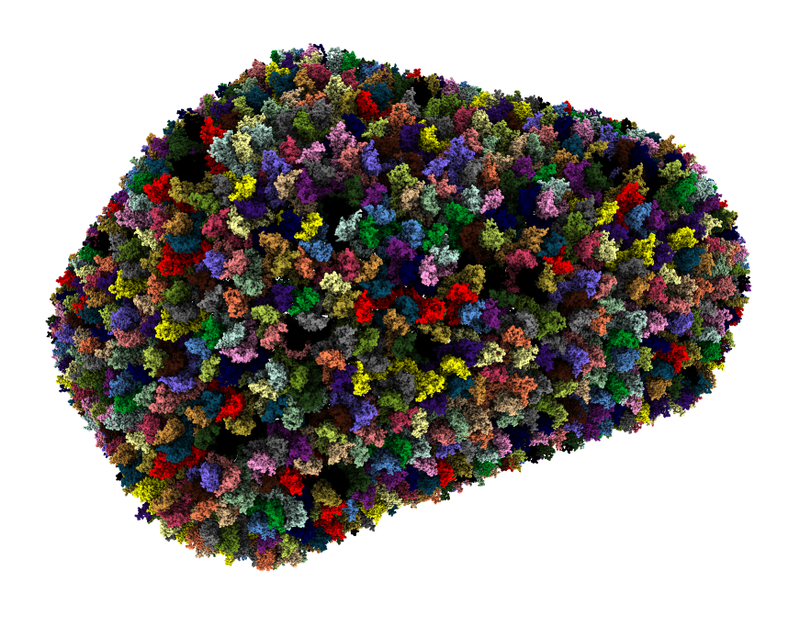 Several times faster rendering of large cellPACK models containing thousands of molecules. 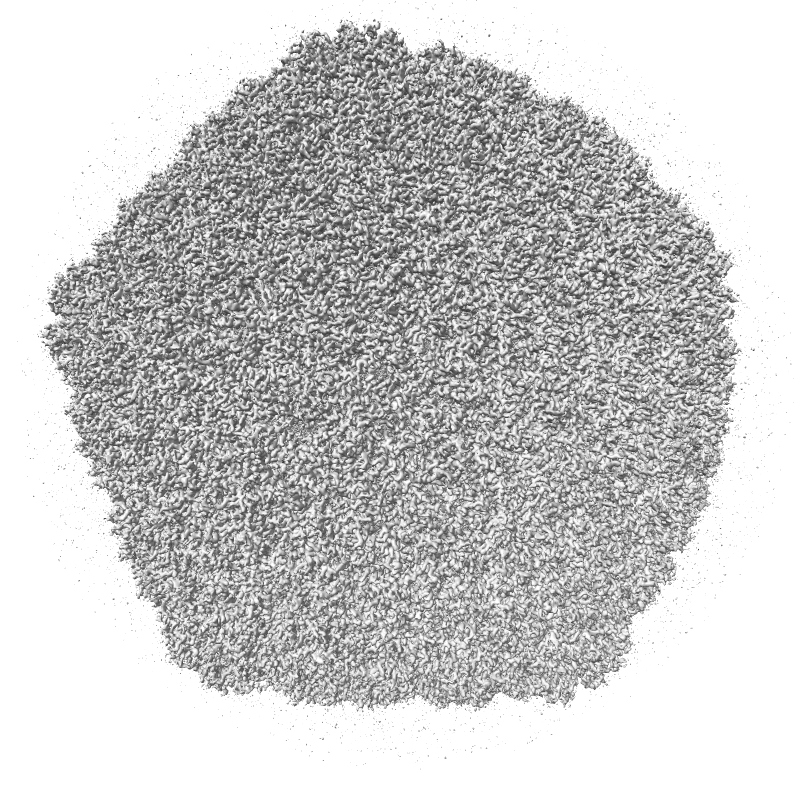 Ambient occlusion lighting. 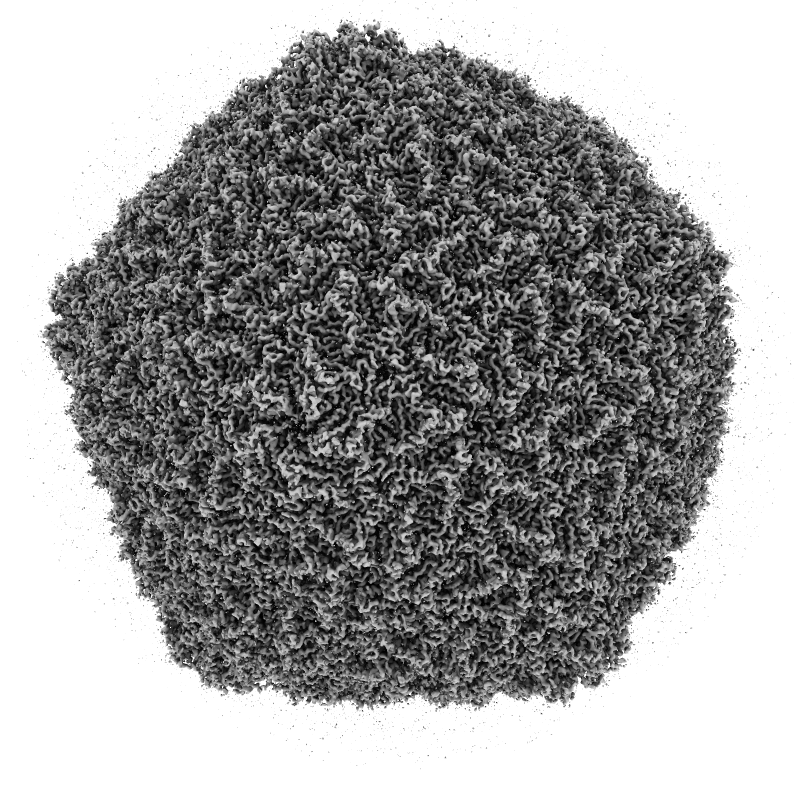 GPU programming allows interactive speed with 100 cast shadows. 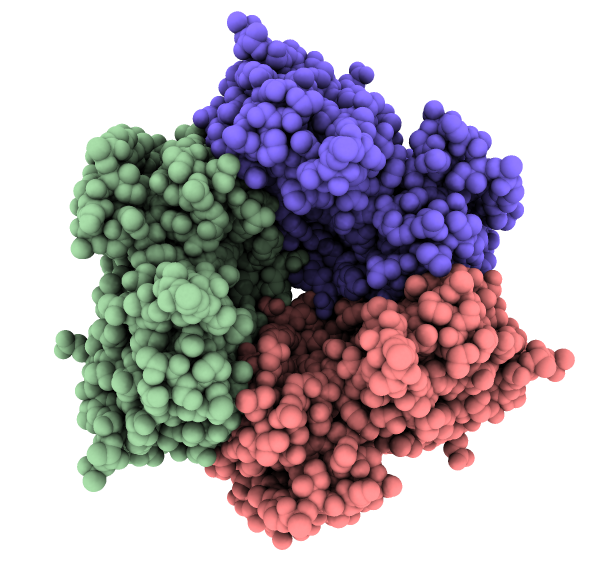 Open and display molecules 10x faster than Chimera 1, e.g. 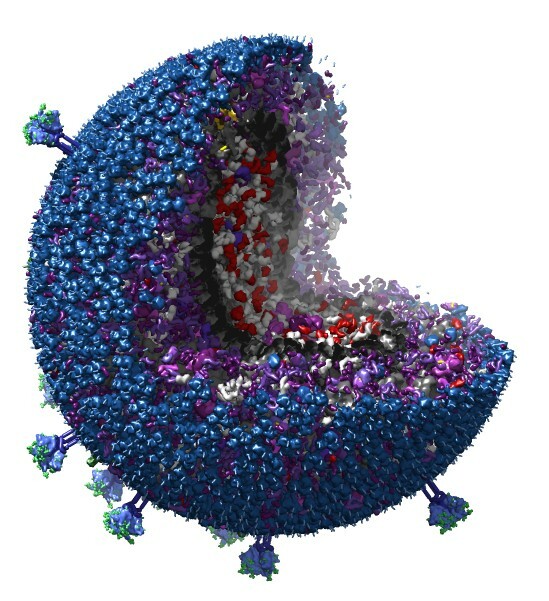 HIV capsid model, 2.4 million atom, in 10 seconds. 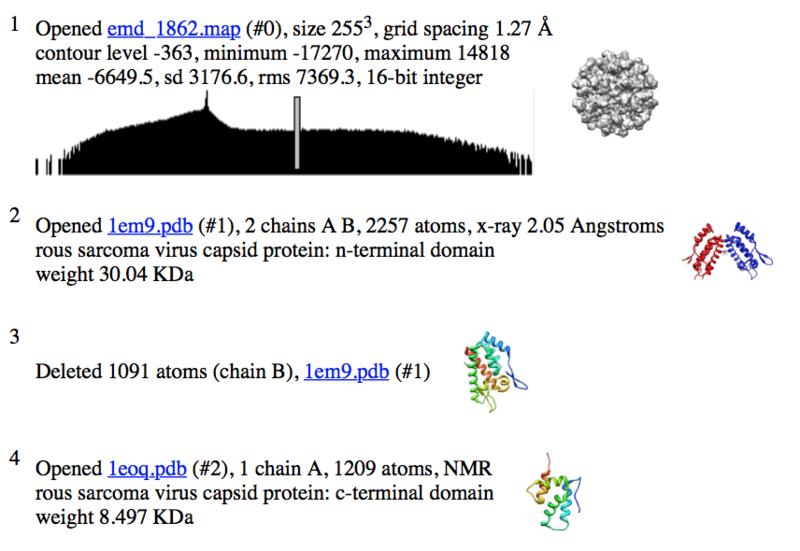 PDB provides single mmCIF file for entries over 100,000 atoms, no longer has multiple ids. December 2014. We worked with John Westbrook, mmCIF architect at RCSB, to optimize format. 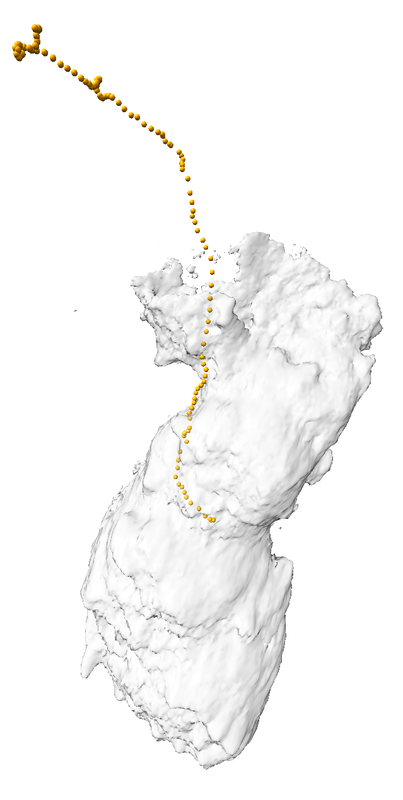 Fast display of hundreds of medium size models helps comparative modeling. 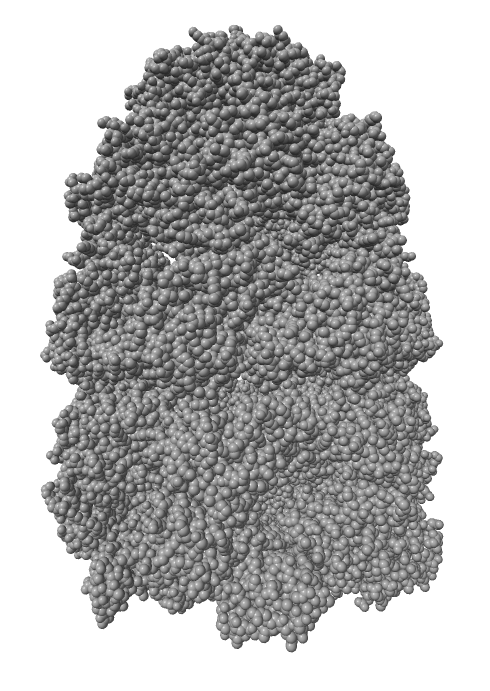 Chimera 1 molecular surface and area calculations fail on many structure over 10000 atoms. Hundreds of users have reported this problem. 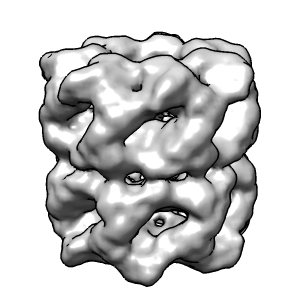 ChimeraX has new solvent excluded surface calculation works for all structures, 30x faster. Surface and area calculation can use multiple cores. 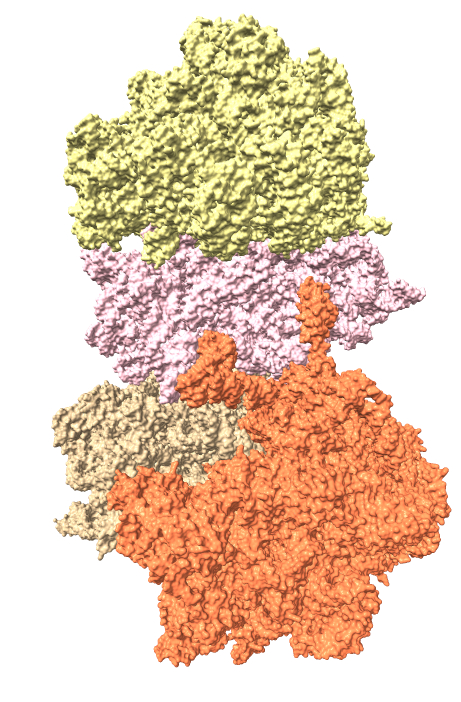 Demonstration: computing areas between all molecules in large complexes, RNA polymerase 1k83. 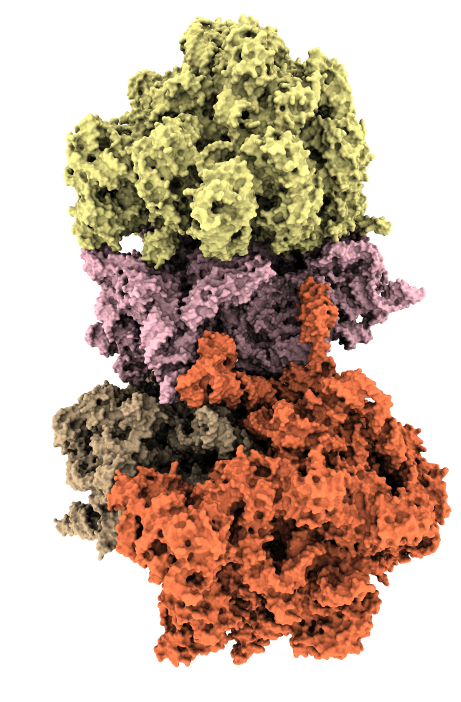 Human ribosome 4v6x. Graph of all contact areas between 87 molecular components takes 8 seconds. 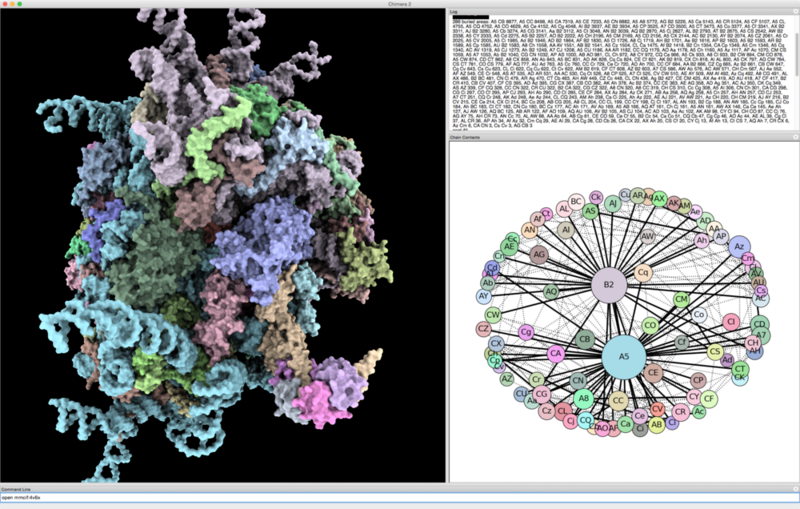 Graphs and networks using Cytoscape and NetworkX. 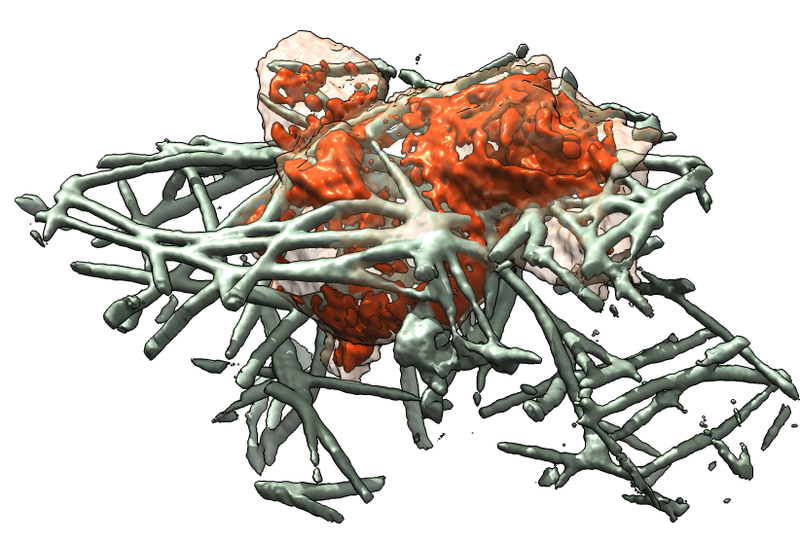 Migrating neutrophil (hl60) cells demonstration in ChimeraX. 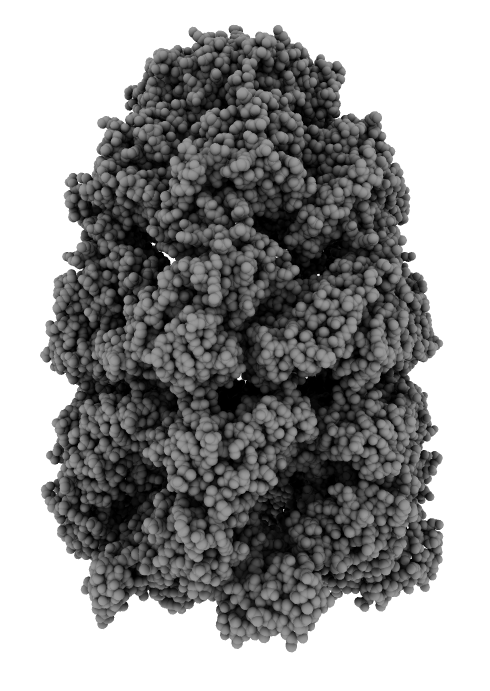 Preprocessing makes multiresolution HDF5 file, removes jitter, compensates for photobleaching. Mask to show only collagen near cell. 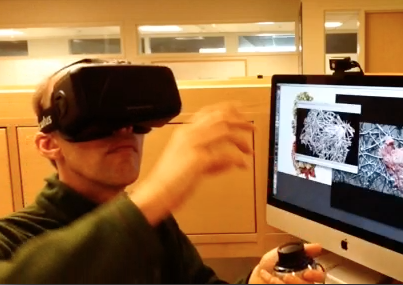 Quantify motion, centroid velocity, cell size, inertia axes, collagen deflections. 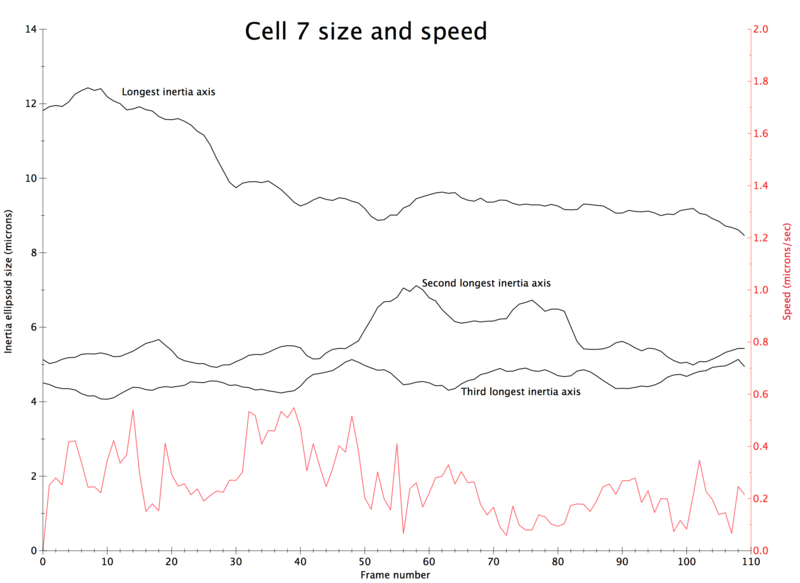 Movie of cell motion. 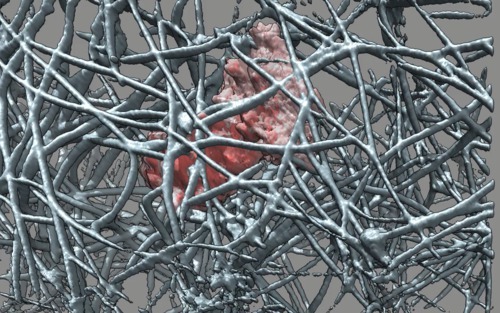 Collagen only near cell path. 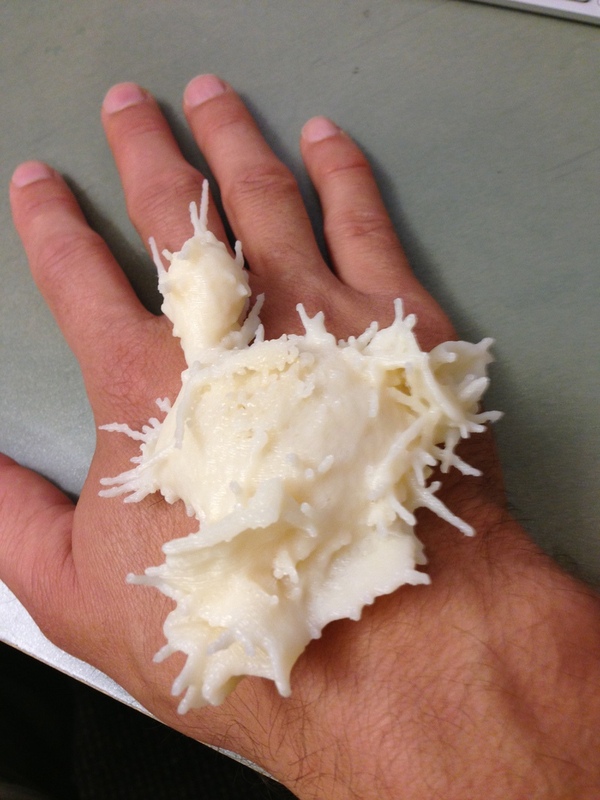 3-D printed cell. 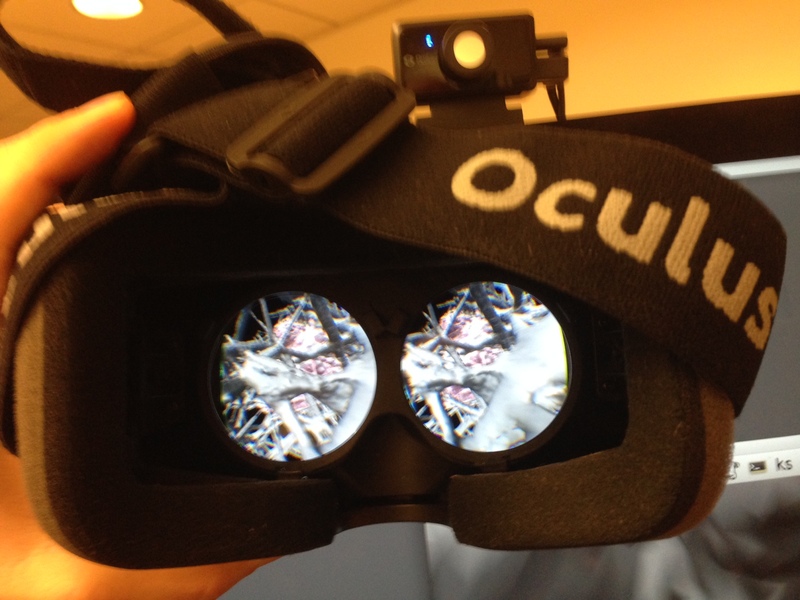 Oculus Rift goggles give 360 degree view. More for inspiration than analysis. 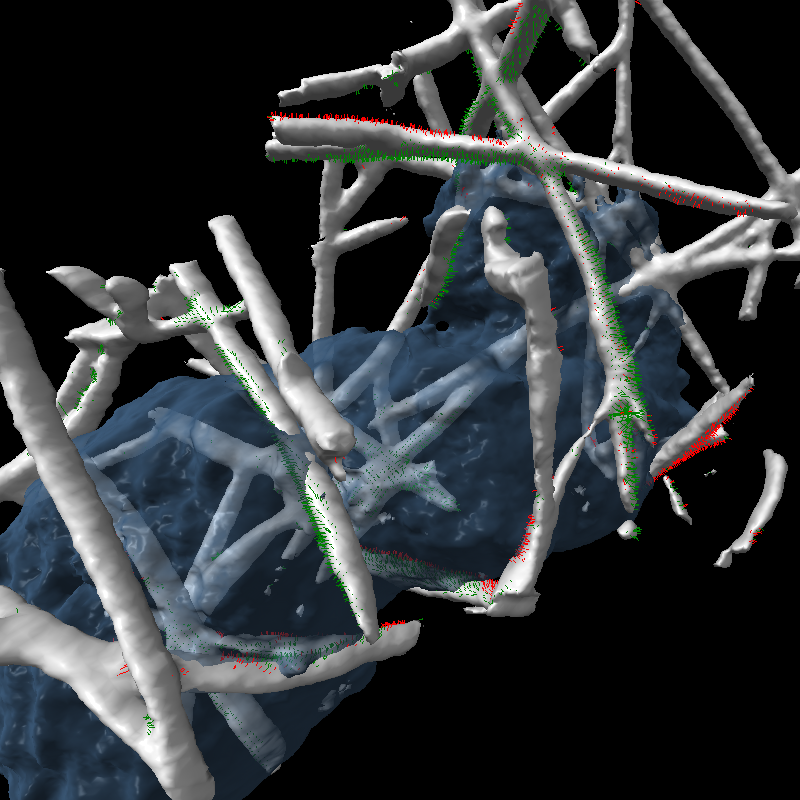 View inside the a network of collagen filaments. Demo at lunch. Collaborator Dyche Mullins: "Now I know what it feels like to be the cell!" HTML for work log with images, sessions, links, movies. Chimera 1 toolkit Tk has only life support maintenance. Example problem: Dual display Tk crash reported 60 times by Chimera 1 users. Took 80 hours to diagnose and patch our code to avoid Tk bug. Offer web browser applications derived from ChimeraX code. All major web browsers support WebGL 3-D graphics. Safari, Internet Explorer, and iPad/iPhone support added summer 2014. Allows same graphics performance in web browser as desktop apps. 5 people in 3 labs at UCSF analyze Dyche Mullin's cell migration data. Data is on a server. Share placed marker and note annotations. Collaborative data analysis. 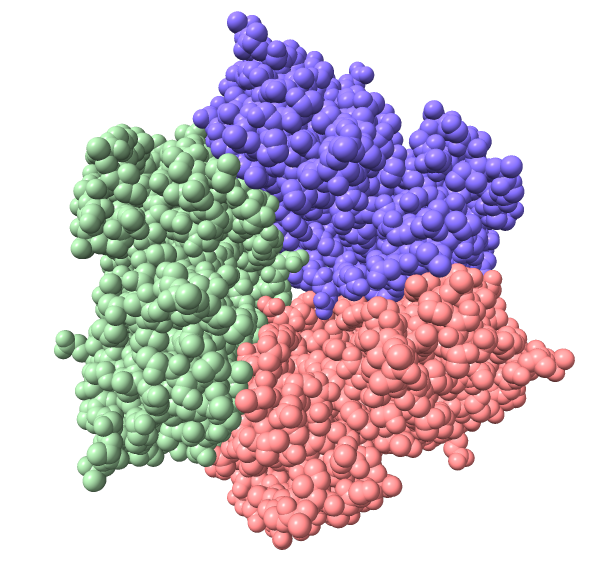 Box beam protein backbone sculptures made by sculptor Julian Vos-Andreae. 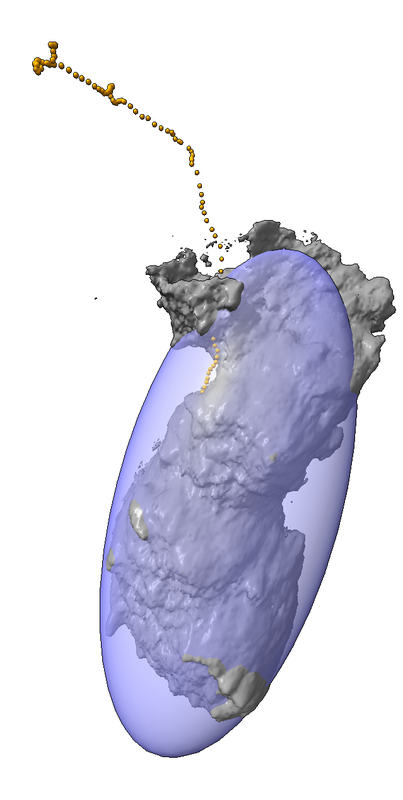 Developed Chimera 1 extension to produce beam cutting instructions. 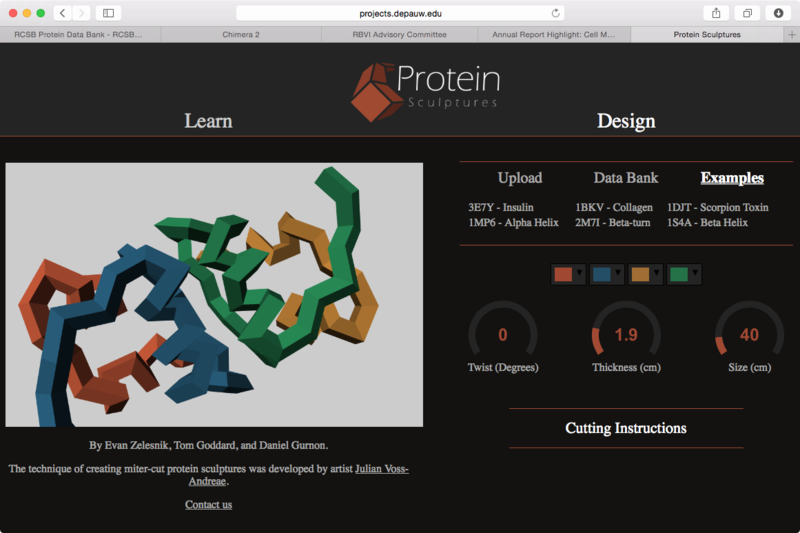 Converted to web app to allow others to make sculptures. 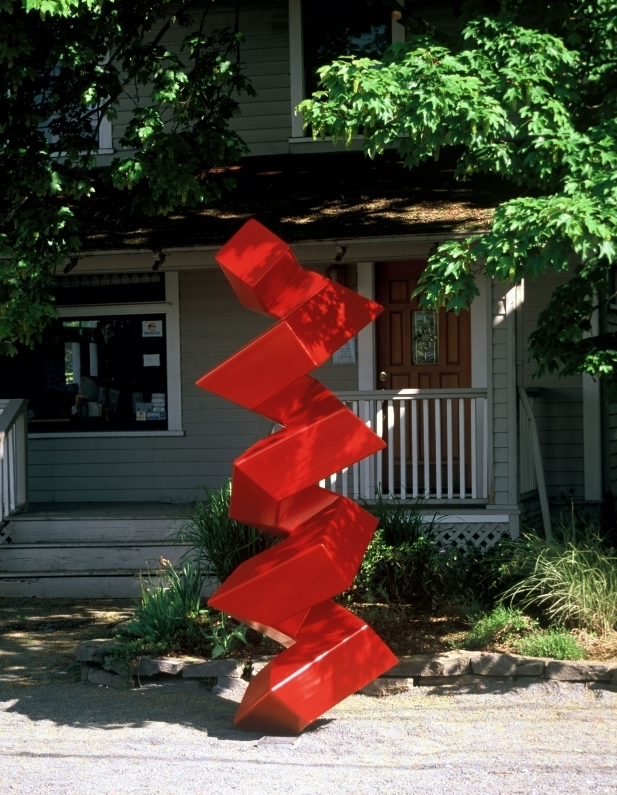 Collaboration with Daniel Gurnon at DePauw University and sculptor Julian Voss-Andreae. Linus Pauling house. 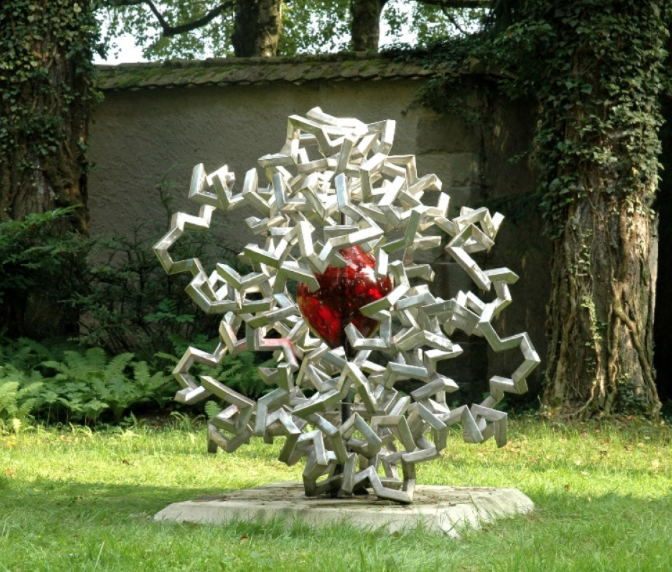 Hemoglobin Sculpture design Web app. Offer ChimeraX plugin distribution, version checking, and stable programming interfaces. Many Chimera 1 plugins created by outside developers, about 50 developed by 20 labs. Hard for users to find useful plugins. Every developer distributes on their own web site. Plugins break after a few Chimera releases. ChimeraX user interface shows all available plugins from a central repository. Plugins that require other plugins automatically handled. Stable and documented ChimeraX programming interfaces (APIs). Also get latest Chimera bug fixes with one click. Backend is working with primitive test user interface (image). 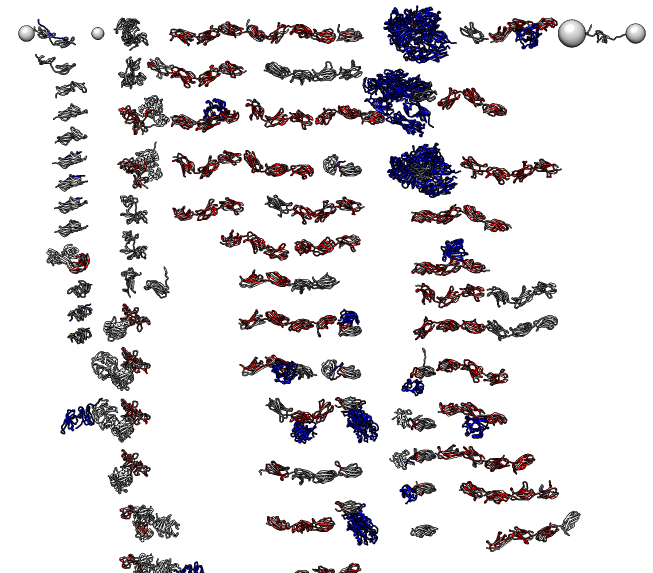 Handle molecule, sequence and density map data. Currently working on sequence code. Stable programming interfaces for developers in a later release.